The Primo 339 Remote Digital Thermometer by Primo Grills ships factory direct to your door. The Primo 339 Remote Digital Thermometer is an excellent accessory for the a master Griller. 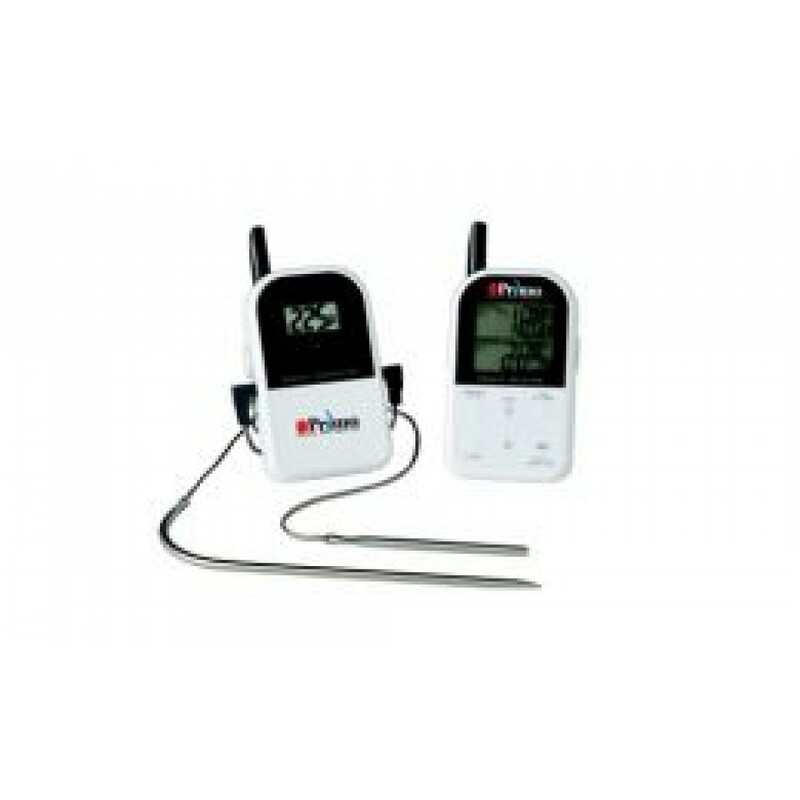 Use the Primo Dual Probe Thermometer accurately measures internal food temperature up to 575 deg and the pit temperature simultaneously up to 300 feet away. The remote sensor will sound an alarm in the event your temperature changes in the pit and another alarm when the food is done!